This is the second part of Fractals 101, a series of tutorial dedicated to fractals. 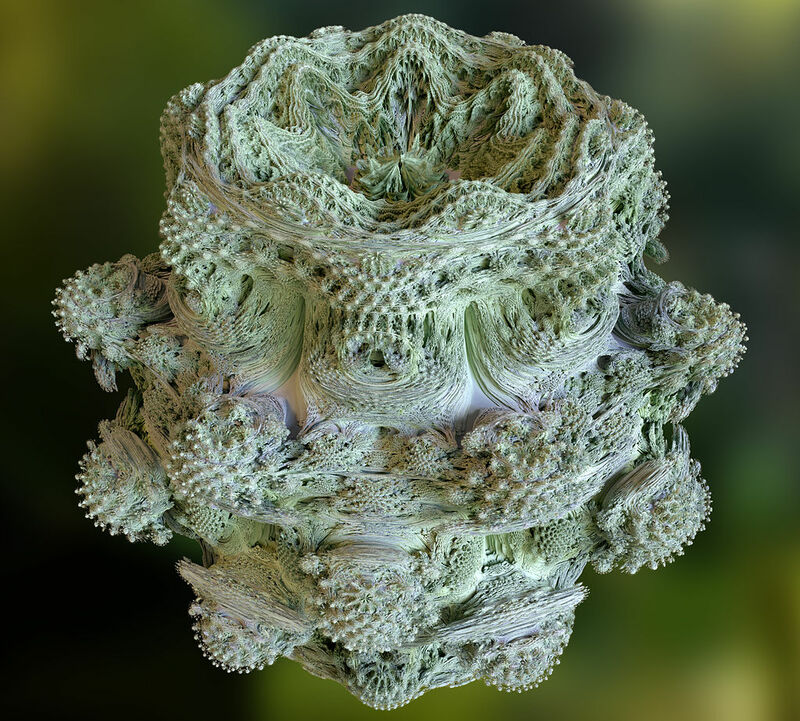 This post will investigate two popular fractals: the Mandelbrot set and its 3D cousin, the Mandelbulb. The previous post in this series, Fractals 101, showed how fractals can be constructed by iteration. Fractals created this way have indeed an infinite complexity, but they are also very boring. Their strong self-similarity doesn’t really allow for any interesting complexity to arise. Luckily, this is not always the case. Most fractals appear in the most unexpected places, rewarding you with endless beauty. In order for this fractal to appear, both and must be complex numbers. This blog has dedicated an entire post on Complex Numbers, in the context of 2D rotations. For any , this sequence has two possible behaviours: it either diverse towards infinity, or it stays forever bounded. The Mandelbrot is made of all those complex numbers for which iterating does not escape to infinity. 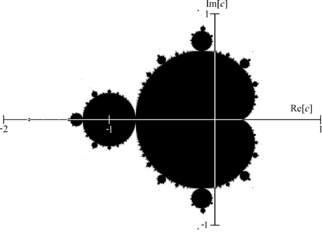 When computing the Mandelbrot set, is iterated several times; if it stays small enough, it is assumed to be part of the set. White points are the values of for which diverges to infinity; while black hones are the values of for which stays confined. The really interesting behaviour happens on the edge of the Mandelbrot set, where the white and black parts of the plane meet. Not only the edge exhibits self-similarity; it also hides an endless sea of complexity. The mandelbrot function can be fed with the UV of a piece of geometry. Its return value can be used to sample a ramp texture. This allows a fine control over the final colour of the produced fractal. 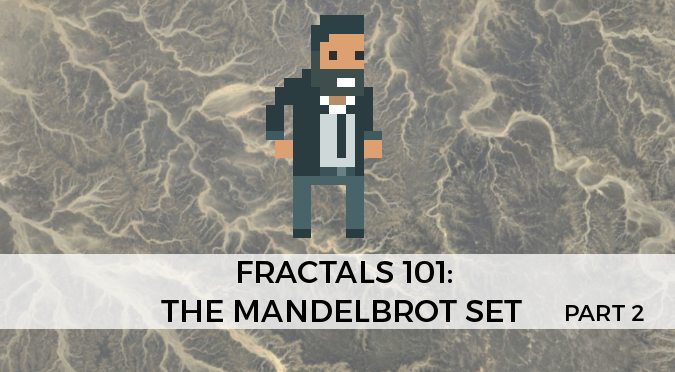 The concept behind the Mandelbrot set has been subject of extensive research. While a 3D equivalent of the Mandelbrot set does not exist, Daniel White and Paul Nylander came up with a 3D shape that exhibits similar properties. This shape has been called the Mandelbulb, since its similarity with a round bulb. The logic behind its creation is similar to the one that generated the Mandelbrot set. Starting from zero, we iterate a 3D function . Both and are 3-dimensional vector, and . To give a better understanding of what the Mandelbulb looks like, I have created a 360 video that shows the birth of this fractal, slowly changing its power factor from to . The Mandelbulb has been rendered inside out, using a volumetric shader in Unity. The 360 effect has been achieved using 3 cameras with a large field of view. All images are wrapped to an equirectangular projection using another shader. Despite being rendered at a very high resolution, the compression of YouTube makes some parts of video slightly blurred. I just came across your site, what an incredible work, the top notch quality ! Are you a former demoscener ? I already plan to spend a lot of time reading your posts, so for sure I will start donating the next month. => The link to the post is broken. Thank you very much for your kind words. It’s because of comments like this one that I keep writing tutorials.